Grant / Acceptance letter and related information. 1. 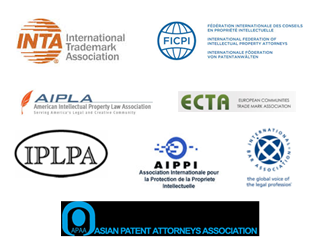 What is the Governing Law of Patent? A Patent is a Statutory privilege granted by the Government to inventors (or to other persons obtaining rights from the Original Inventors) for a fixed and limited period of years, to exclude other persons from manufacturing, selling or using any patented product or process or method. 3. What is Patentable Invention? Invention which is frivolous and contrary to established natural laws. An invention which could be contrary to public order or morality or which causes serious prejudice to human, animal or plant life or health or to environment. The mere discovery of mere new use of a known process, substance, machine or apparatus unless such known process or machine results into a new product or employs at least one new reactant. Mere arrangement / rearrangement/duplication of known devices each functioning independently in known way. A process of medical, surgical, diagnostic, therapeutic or other treatment of human beings. Plants & animals in whole or any part, other than micro-organisms, but including seeds, varieties and species and essentially biological processes for production or propagation of plants and animals. A mathematical or business methods or algorithms. Computer program per se other than technical application to industry or a combination with hardware. A mere scheme or rule or method of performing mental act or method of playing game. An invention, which in effect is traditional knowledge or which is an aggregation or duplication of known properties of traditionally known component(s). An invention relating to atomic energy falling within sub-section (1) of Section 20 of the Atomic Energy Act, 1962. 5. What are the filing requirements for a Patent application? Name, Address and Nationality of the Inventor(s) or of the Assignee. Title of the Invention (Brief & Precise). The Claims or uniqueness which an inventor proposes to claim. If the invention is capable of being illustrated with the help of Drawings, Figures or formulae, such drawings, figures or formulae should be provided on a thick, durable paper. In case priority is to be claimed, details about the date of filing of application, country of filing and number of application. A certified copy of the application has to be filed within 12 months of claiming of priority or before the date of filing of a request for Examination. Power of Attorney - no need to be legalized or Notarized. 6. Who can be the applicant in a Patent application? Legal representative of any deceased person who before his death was entitled to apply for the patent. 7. What is the Procedure of publication and examination of a patent application? After an application for a patent is filed, the same shall not be open to the public for such period as may be prescribed until it is published. Unless the request for expeditious publication is made, application will be automatically published from the date of filing in the Official Journal. The official Journal is published by the Patent office on a weekly basis. If the applicant intends to expedite the publication, he may make a specific request in a prescribed form with additional filing fees and the application will be published as soon as possible (Within one month). Once the application is published till grant, the Applicant shall have all the privileges and rights as if a patent for the invention has been granted. However, no suit for infringement can be filed till the patent is granted. No application will be automatically examined unless the request for Examination is filed. The application will be examined only on the basis of filing of a special request for Examination in a prescribed form with fees within a prescribed period. A request to file for Examination of the application is required to be filed within a period of 48 months from the date of priority or from the date of filing, whichever is earlier. Once the request is filed, the application will be substantially examined by the Patent Examiner and an Examination Report will be issued stating the question of patentability of the invention and any other details for proper and sufficient description. The applicant has to comply with all requirements and put the application in order overcoming all the objections raised by the Examiner to his satisfaction with in a period of 12 months extendable for a period of 3 months upon payment of extension fees. Examiner upon reply, will send the application to the Controller with his report for grant or rejection and the Controller shall notify the applicant about the same. Failure to disclose information relating to the applications filed in foreign countries for the same inventions. Invention is known due to the prior knowledge, oral or other wise available within any local or indigenous community in India or elsewhere. Upon receiving representation of opposition, the Controller shall consider and dispose of the representation as he deems proper. None of the party including the aggrieved party who has made representation will be party to the proceeding. The Patent will not be granted within six months from the date of publication. Hence, the Representation can be made anytime after publication but before grant. Once the application is found to be order with compliance of all the requirements including objections on patentability of the invention or disposed off by the Controller if represented for opposition, the patent is granted as soon as possible (but not before expiry of six months from the date of publication) and information of grant is published in an Official Journal. Once the opposition is filed, the matter will be decided after taking into consideration all the written and oral evidences. 8. What happens after an opposition period is over? After the Opposition period is expired or no opposition is filed or the opposition is won by the patentee, the grant of a patent is confirmed. 9. What is the term of a Patent? The term of a Patent is 20 years from the date of filing of Patent. 10. Whether my invention is protected once I file an application in India? No. The protection is granted only after the application is formally published in an Official Journal upon expiry of 18 months or earlier (if expedited). Till that time, no protection is granted or conferred upon. 11. What is the normal time period within which a patent could be granted? There is no specific time within which an application would be accepted. However, approximately it would be about 2 -4 years. 12. Do I have to pay any fees or annuities to keep the Patent alive? No fees are required to be paid for first 2 years of the term of Patent after its sealing. To keep the Patent in force, it is imperative to pay the Annuities till the term of Patent. Non payment of annuities will result into lapse of the Patent. 13. What happens if I do not pay or miss to pay the annuity with in a time period? The patent will be lapsed. However, within a period of 12 months from the due date of payment of annuity i. e. date on which the Patent becomes lapsed, it may be restored upon payment of additional fees. It is to be noted here that no protection will be conferred upon the patentee within this period of non payment of annuity. 14. What is the monopoly rights conferred upon a Patentee? To make, use, sell or distribute the patented article and use or exercise the method or process if a patent is for process. To assign or grant license or deal with a patent for any consideration. Right to surrender a patent. During the period from date of advertisement and date of sealing of the patent, the applicant for the patent can exercise all the privileges and rights of a patentee EXCEPT filing of a suit for the infringement of a patent. 15. 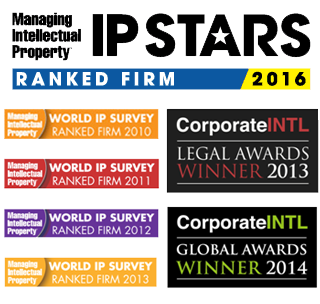 What is the infringement of a Patent? Any person who is unauthorizedly making, using, selling, importing or distributing a Patented Article or composition is considered as an infringement of a patent. 16. What are the remedies available against such infringement? 17. Is it possible to revoke a Patent even after grant? lack of sufficient description of the invention. prior publication or use of the invention. 18. Is the patent assignable? Yes, patents are assignable. However, an assignment of a patent, or creation of any interest in a patent shall not be valid unless it is in writing in the form of an agreement duly executed including the terms and conditions and laying down the rights and obligations of respective parties. The Trademark. In case of a device mark, please provide mark in .jpg or .gif format. If colour is to be claimed, preferably please also provide 15 prints in exact colour/ high definition .jpg or .gif image in exact colour. Full name, Address, nationality and nature of the entity (e.g. individual, company or partnership firm) of the applicant. Description of Goods or Services with appropriate class as per NICE Classification (IX Edition). Date of commercial use of the mark in India, if any, or proposed to be used. If priority is to be claimed, please provide Date of first application, country and the application number. If priority claimed, a Certified copy of the Application filed in any Convention Country within 60 days from the date of filing of application in India. NONE OF THE DOCUMENTS ARE REQUIRED TO BE NOTARIZED OR LEGALIZED.